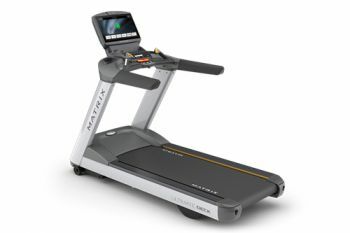 It has a 19” touchscreen display with FitTouch technology that offers intuitive operation and adopts the technology behind all Matrix connected equipment, enabling you to track your workouts and access a personal training programme. The 22" wide belt also provides an added sense of security and freedom. This machine provides touch-free login and is compatible with most smartphones and tablets for video, audio, charging and on-screen playlist selection.